Thanks to the generosity of three of the leading LIS recruitment firms – Glen Recruitment, TFPL and Sue Hill Recruitment – the LIS Research Coalition is able to offer six sponsored places at its conference at the British Library Conference Centre on Monday 28th June 2010. These will be for PhD students currently engaged in LIS research. Sponsorship will cover the conference fee for each of the six students who win an award. For further information about the awards, and how to apply, please see the page that details the sponsored conference places for PhD students. 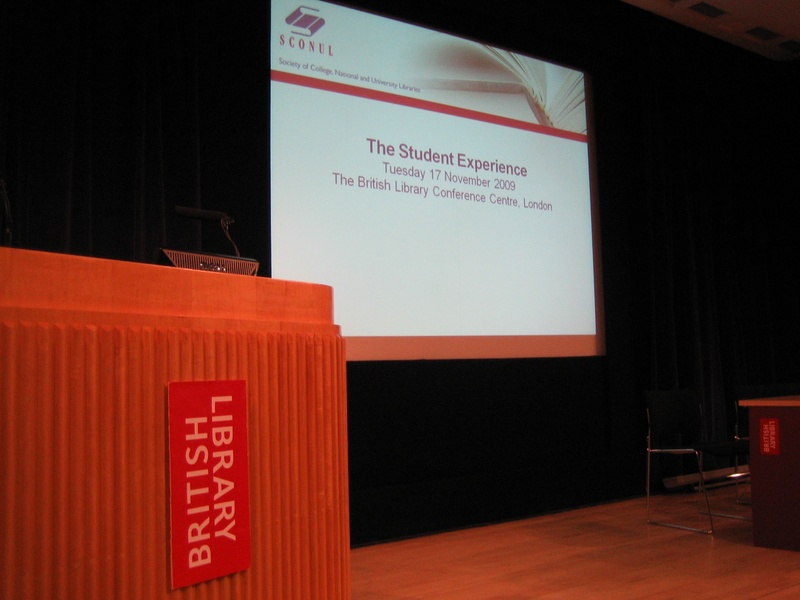 Hazel Hall was invited to present at the SCONUL Autumn Conference on 17th November 2009 at the British Library. The presentation slides are available from Slideshare. Fitting research work into a demanding job role that includes other competing, and often more obviously pressing, service priorities. Hazel also pointed out that often individuals carry out work that is, in effect, practitioner research, but fail to recognise it as such. The focus of the presentation then moved on to barriers associated with the dissemination of practitioner research. Hazel mentioned how research output often becomes trapped within an institution or sector, and thus has limited dissemination channels. This minimises the opportunity for others to take advantage of the research findings, and key messages do not reach the level of strategy development. As a result, individual institutions tend to focus on local research output in their planning activities. How can library provision be better aligned to broad institutional student experience initiatives? How can we measure the contribution of academic library services to the overall student experience? What are the roles of academic librarians in the learning processes of students? How can we better engage teaching staff with library services? How will scholarly communication develop in the future, and what will be the impact of this on library provision for students? What is the best way to integrate information literacy provision into the curriculum? Hazel then turned her attention to the second theme of her presentation, i.e. the means by which the LIS Research Coalition is working to bring together information about LIS research opportunities and results. The Coalition has a web presence at http://lisresearch.org, as well as a Twitter feed at @LISResearch. The Twitter feed postings cover a range of topics of relevance to the LIS research community, as Hazel illustrated by displaying some Twitter screen shots. Amongst these she showed a page of alerts that included news of: a research funding opportunity; PhD studentships on offer; an invitation to join in a research-related consultation exercise; two newly published research reports; a link to a web page on a topical debate; a report on an on-going research project; a training event; conference registration opening; the publication of a new journal issue; and a US conference offering funded places. Hazel strongly encouraged audience members to start following @LISResearch, or at least arrange for members of staff in their organisations to take responsibility for keeping up to date with the postings on behalf of others at their home institutions. Hazel concluded her presentation by reiterating the support that the LIS Research Coalition can offer for practitioner research. First she noted that the agile information provision on LIS research related news through the dedicated Twitter feed saves time of practitioner researchers. Then she spoke about the efforts to raise the profile of practitioner research, making reference to the LIS Research Coalition conference. This will take place on Monday 28th June 2010 at the British Library with the intention of “liberating” of research output that may be trapped within institutions and/or sectors. Hazel explained that in the longer term the Coalition hopes to provide opportunities for research methods training that will extend current UK provision in this area. Hazel’s final point was that she looked forward to the LIS Research Coalition working in partnership with other LIS stakeholders, including SCONUL, in building the evidence base that will contribute to future LIS research strategy, as well as policy development. Yesterday the LIS Research Coalition participated in the 2009 SCONUL Autumn conference at the British Library’s Conference Centre (which, coincidentally, will be the venue for the LIS Research Coalition’s own conference on Monday 28th June 2010). The delegate list noted 124 individuals, mainly comprising academic library leaders from UK colleges and universities, as well as staff of the SCONUL secretariat and a number of guest speakers. The conference was opened by Jane Core, the current Chair of SCONUL. 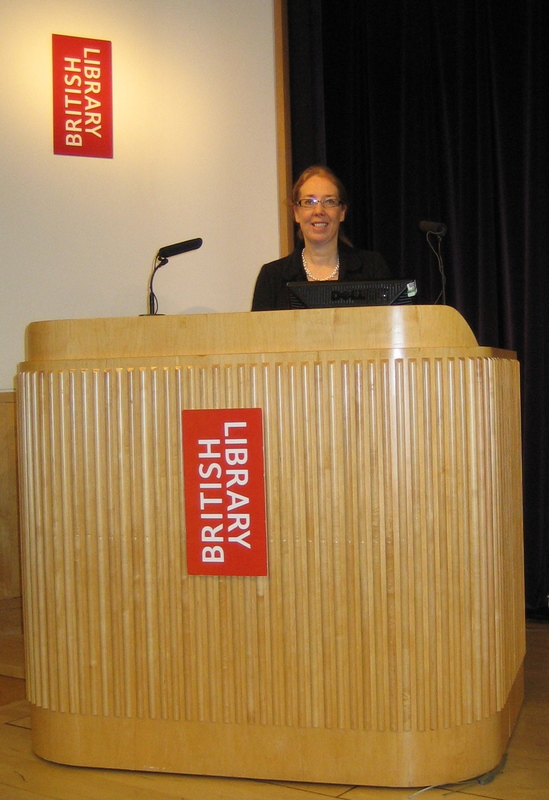 The British Library’s Associate Director of Operations and Services Caroline Brazier also welcomed the delegates to the Conference Centre. Thereafter the speakers took their turns at the podium to tackle the conference theme of “The Student Experience”. Each was expertly chaired by a member of the SCONUL Executive Board. David Sadler, Director of Networks at the Higher Education Academy was first on stage to set the strategic context for the student experience agenda. His presentation took into account a range of government and sector reports and proposals, as relevant to the interests of the academic library community. He pointed to a number of issues that he believes merit attention. These included the untapped expertise of external examiners, and the need for genuine engagement in Web 2.0 for services delivery across the sector. David concluded his presentation by highlighting a number of challenges of specific interest to the SCONUL audience. These included prioritising service delivery; securing funding; making the most of support from external bodies such as the HEA; and fostering further collaborative activity across the academic library community. Next up was Michelle Verity who spoke of work in her new post of Head of Student Enterprise and Development at York St John University. Michelle’s explanation of the “learning reconsidered” approach as adopted at York St John raised some interesting questions related to the discourse of student experience. The question as to whether or not students are “customers”, and the deployment of the word “services” in academic settings were picked up later in the day in informal discussions and by later guest speakers. The last session of the morning was presented by two student officers of Queen Mary Students’ Union: (1) President Nasir Tarmann and (2) Anna Hiscocks, Vice President – Education, Welfare and Representation. This was a very positive, upbeat presentation that drew on a small-scale research project completed at Queen Mary’s, as well the presenters’ input to proposed changes in information services provision at their University. This session stimulated further conversation over lunch as to how academic libraries meet the needs of their varied student populations, with much interest in the concept of “library-hopping” as introduced by Nasir. The last main set of presentations provided case studies that demonstrated how three universities have made changes to their services delivery in response to factors related to the student experience agenda. Tricia King, who is Pro Vice Master for Student Experience and Director of External Relations at Birkbeck, University of London, focused on My Birkbeck, a major change initiative at her institution implemented in a tight timescale for one of the most diverse student populations in the UK (where students range in age from 18 to 100!) In Brendan Casey’s case, the challenges of managing super-convergence emerged as a strong theme with regards to the role of Director of Academic Services at the University of Birmingham. Graham Bulpitt, Director of Information Services at Kingston University, brought this session to a close with an illustrated timeline of developments at his institution that highlighted the changing role of library and information services staff. As well as outlining the type of frontline activities in which the Kingston staff are involved, Graham illustrated the support mechanisms available to them by showing the audience screen-shots from online staff resources. The final presentation was delivered by Ewart Wooldridge, Chief Executive of the Leadership Foundation for Higher Education. This widened the debate to the theme of higher education leadership, and gave delegates the opportunity to discuss the opportunities for professional staff to reach the highest levels of management in their institutions, and the means of supporting such ambition.